Marya and Kevin Mutisya’s marriage temporarily hit a glitch sometimes in July this year. The news came as a shock to many but now the two lovebirds have resolved the issues that made them split. Marya confirmed she was now a single mother in a post on Facebook (Kevin and Marya have a son who was born in January 2017). “They wished and there wished was granted, being a single mum will not be easy but God will guide me through. #singlemum #Gold calm my hear,” wrote Marya. 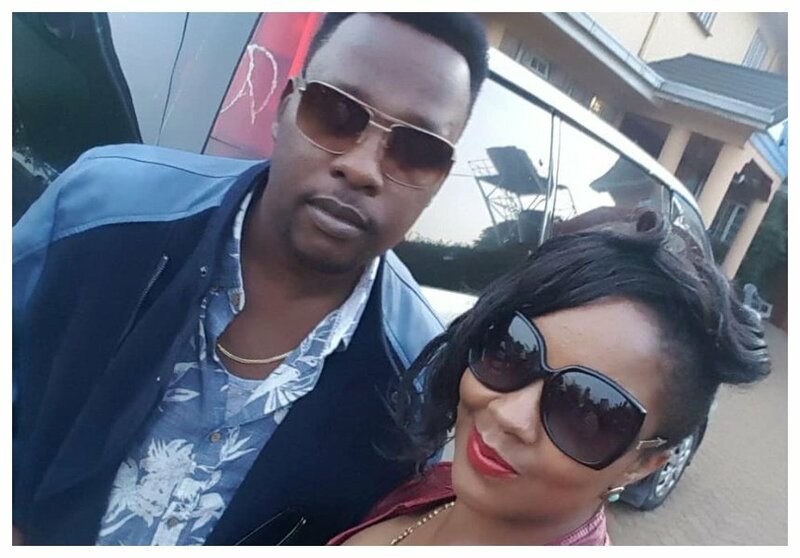 Just like she surprised many when she announced their breakup, Marya has once again taken many people by surprise when she announced that they are back together. 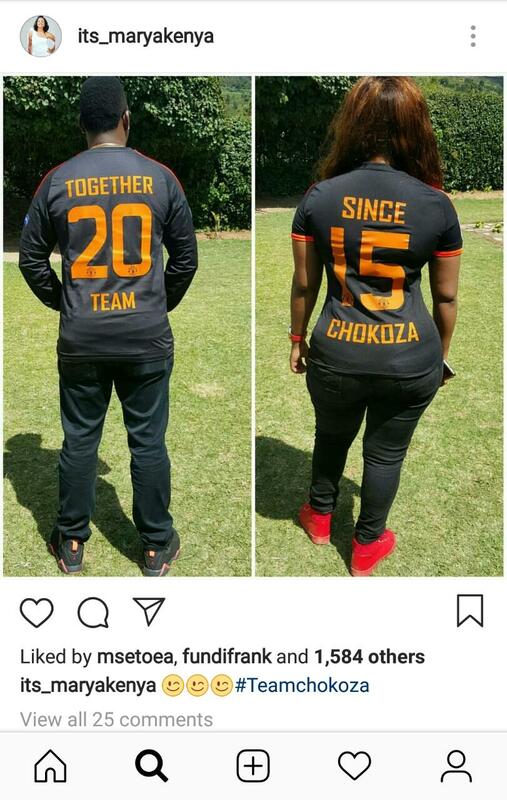 Marya took to social media to share a photo of Kevin and her, they had worn similar jackets with a message on the back written ‘together since 2015, team Chokoza’. News about Marya’s reunion with Kevin will be a bitter pill to swallow for Colonel Mustafa who expressed desire to reignite romance with his ex Marya.